"We enjoy raising quality goats, but most of all we cherish all the wonderful people we have met through the goat industry. Our sincerest Thanks and Best Wishes to each of you!" 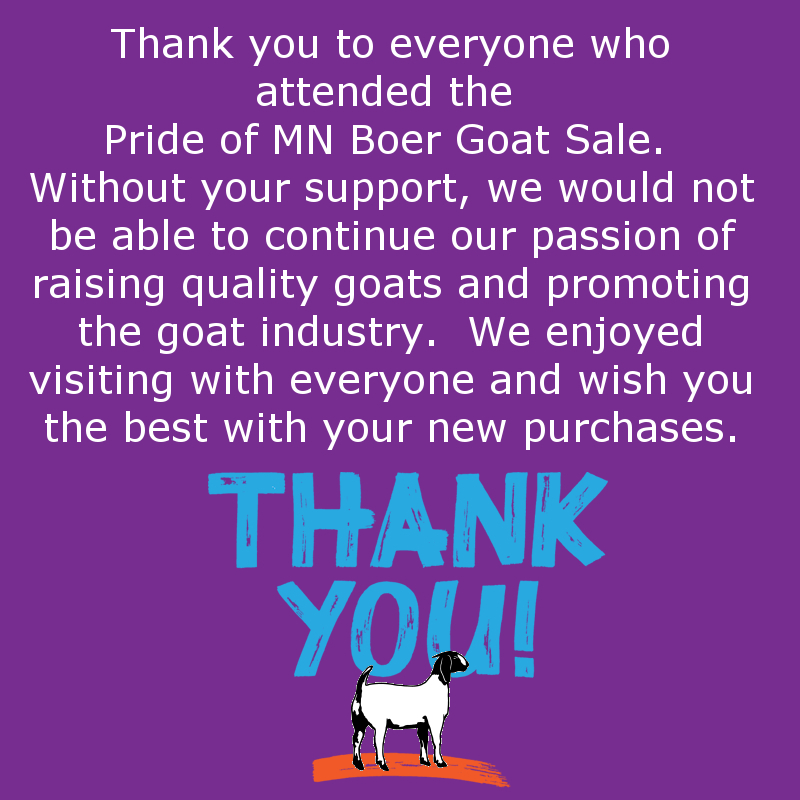 The Organization's stated purpose is to educate its members and the public about the Boer Meat Goat industry, educate about meat goats, and market them. The organization will manage a Sales/Marketing event in Minnesota each year that will be open to the public to accomplish the above tasks. We will also involve producers from other states to expand the market.